Heads up if you hope to attend the Study Group on Friday – we stand at 49 pre-registered. The bus is almost completely full. It seats a maximum of 55. Walk-on space will be extremely limited, if any is available at all. We are very nearly sold out. If you hope to attend the Friday session, consider this LAST CALL. seats will be held on a first-come, first-serve basis. I will post here when we officially sell out. Of course, Saturday has no attendence limit, since we will be on foot. Things are progressing quickly. In the past few days I have received a number of registrations, and as of today, we now have 44 registered participants. That means there are only ten more spots available on the bus on March 7th. If you are interested in attending, please Register ASAP. Mr. Jim Ogden and I both thank all of you who signed up. We expect an outstanding event this year. 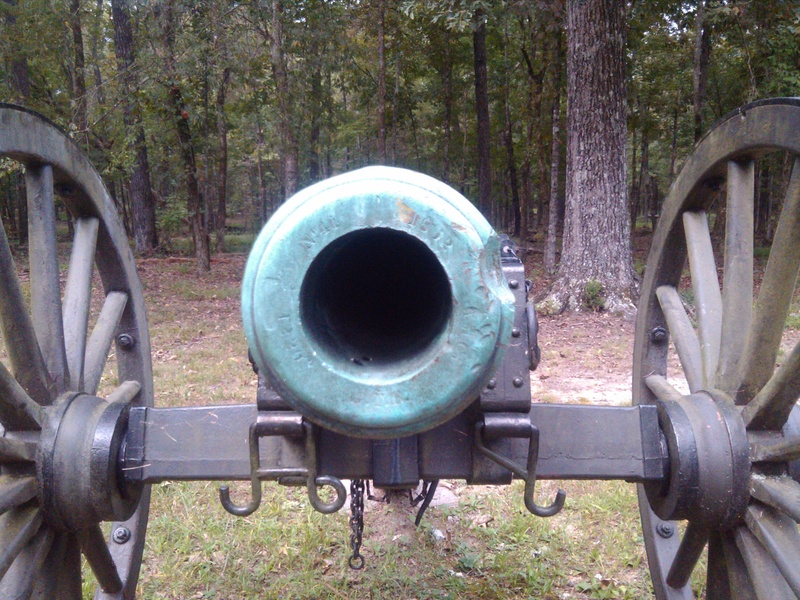 Chickamauga is not known as an “artillery” battle. Just the opposite, in fact. All the woods make it very much a soldier’s battle, one into which artillery ventured at their peril. The Union XIV Corps lost a division’s worth of artillery on September 19, and several other Union batteries were overrun as well. But there are cannon all over the field at Chickamauga, not just lining the north end of Poe Field. They have their stories to tell, as well. Take, for instance, the 4th Indiana Battery position on Battleline Road. 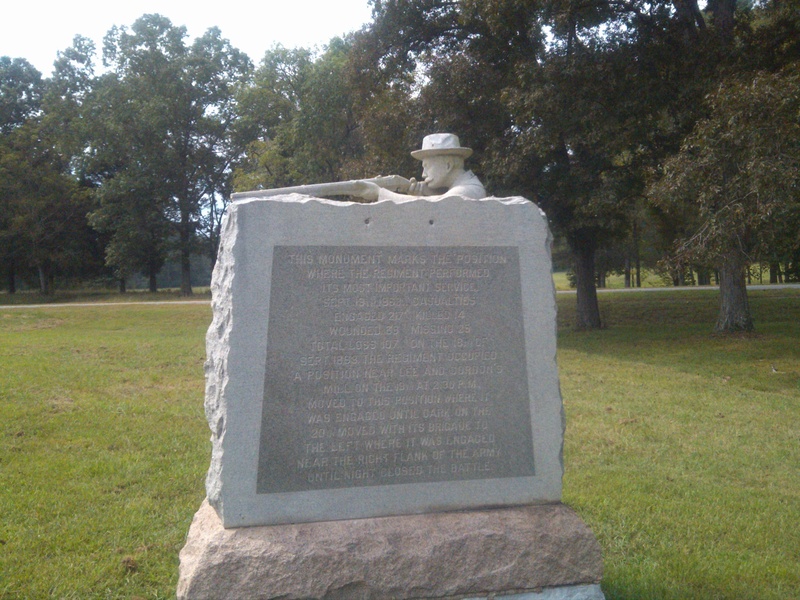 You can find the 4th Indiana’s guns just south of Tour Stop #2, where the Regular Army monuments stand, not far south of where the Shell Pyramids for Brigade Commanders Colquitt and Helm memorialize the deaths of those two men. Not many people pay a great deal of attention to the 4th, I suspect, as the monuments come thick and fast down the length of Battleline Road; too many to stop and think about each one individually. But the 4th Indiana is special. Take a closer look. Note that that guns are angled, pointing northeast and southeast, not simply facing outward at random. Also note that the cannon are in the apex of Battleline Road’s most eastward bend, directly astride the ridge that defines George Thomas’s second-day position. The battery began the fight on the 19th under command of Lieutenant David Flansburg, and was one of units which came to grief that morning. Flansburg was wounded and captured, and the battery lost five guns. Those guns and enough limbers were retaken during the day to restore four pieces – two Napoleons and two James Rifles – into full effectiveness. They were now positioned here, commanded by First Lieutenant Henry J. Willets of Valparaiso. Taking advantage of a small bend in the ridge, Willits’ guns were posted at the curve in Baird’s line, between Scribner’s and Starkweather’s brigades, and angled forward so that in addition to firing straight ahead, their fire could also sweep the length of the Union front to either the north or south. Due to the cedar glade, “a clear space averaging 75 yards,” the Hoosiers’ field of fire was excellent, extending laterally to the left as far as the Reed’s Bridge Road. Any troops moving west against a Union line would thus expose themselves to a flanking fire from a brace of Union cannon. If you walk the length of the Kelly field line heading south from the 4th Indiana, you will see a number of other cannon. Johnson’s and Palmer’s divisions formed here, and they had plenty of artillery. Baird’s batteries, however, were all wrecked on the 19th; of the eighteen guns taken into action on Saturday morning, now only four were fit for action. Willits would be the division’s only artillery support for the entire day on Sunday. The Hoosiers acquitted themselves brilliantly. First to come to grief was Helm’s Brigade of Kentucky Orphans. The brigade split here, with half going on out into McDonald Field, while the other half were pinned down in front of the 4th Indiana. A gap opened between Helm’s men, who were Breckinridge’s left flank, and Confederate Brigadier Lucius Polk’s Brigade, comprising Cleburne’s right. That gap would become an obsession with Daniel Harvey Hill, who spent the rest of the morning trying to plug it. Colonel Peyton H. Colquitt of South Carolina fell victim to this obsession about noon, attempting to move his brigade into that position; and at different times both the brigades of Edward C. Walthall and John K. Jackson also were sent in here. Walthall’s deployment was especially unfortunate, not because Walthall’s Mississippians took heavy losses here – they did not, advancing very cautiously and not entering the Cedar Glade – but because Walthall’s line was stripped away from St. John Liddell’s division just as Liddell was supposed to advance and support John C. Breckinridge, then attempting to attack into Kelly Field from the north. the result: Liddell advanced too late with his remaining brigade, under Govan, and was repulsed in turn. All morning long, the 4th Indiana helped break up attack after attack, and Rebels from each of the brigades unfortunate enough to face them recalled the heavy cannonading facing them – all from just four guns. The advantage terrain can sometimes provide should not be underestimated. 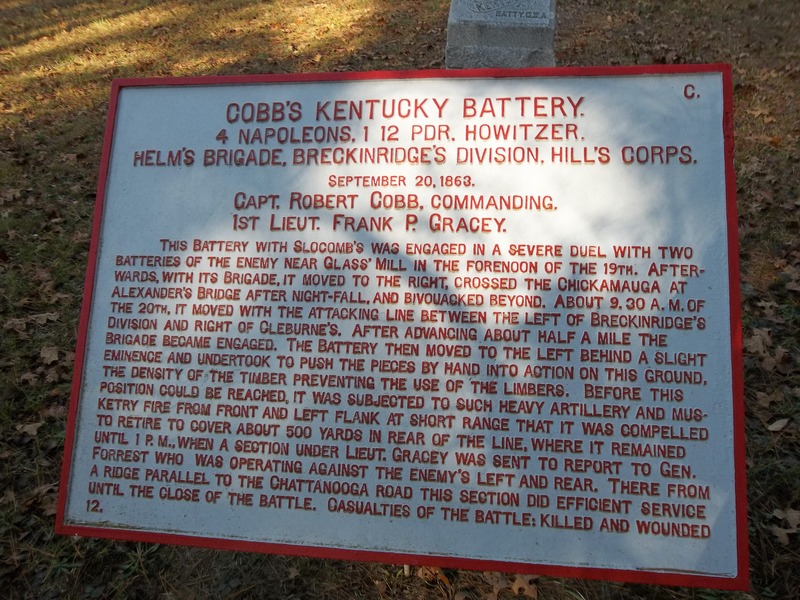 At about 11:00 a.m., in an effort to silence Willits’ storm of steel, Cobb’s Kentucky Battery tried to engage, with no success. 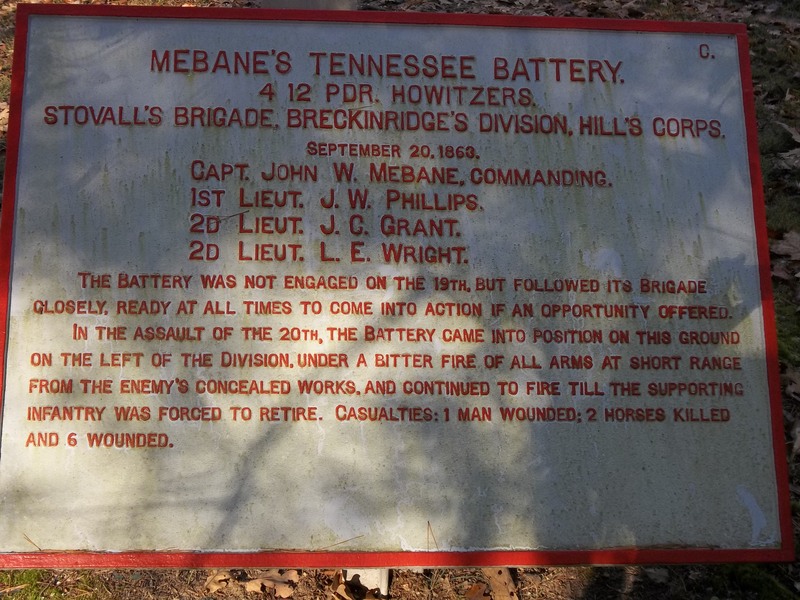 At about 1:00 p.m., looking for a place to be useful, Mebane’s Tennessee Battery tried the same thing, from virtually the same spot – another failure.